File photo of Anita Earls talking with a group of black women during a Sister to Sister salon conversation at the Chesterfield in Durham on Friday, October 26, 2018. 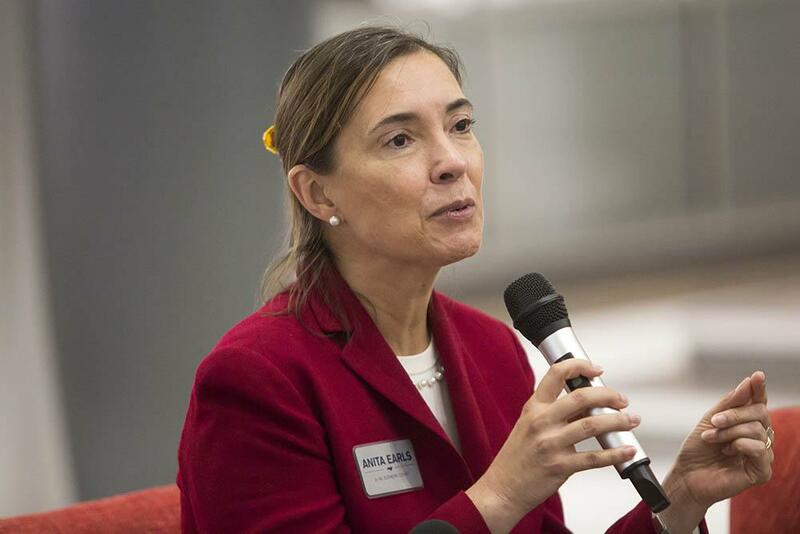 Earls has unseated an incumbent to join the North Carolina Supreme Court. 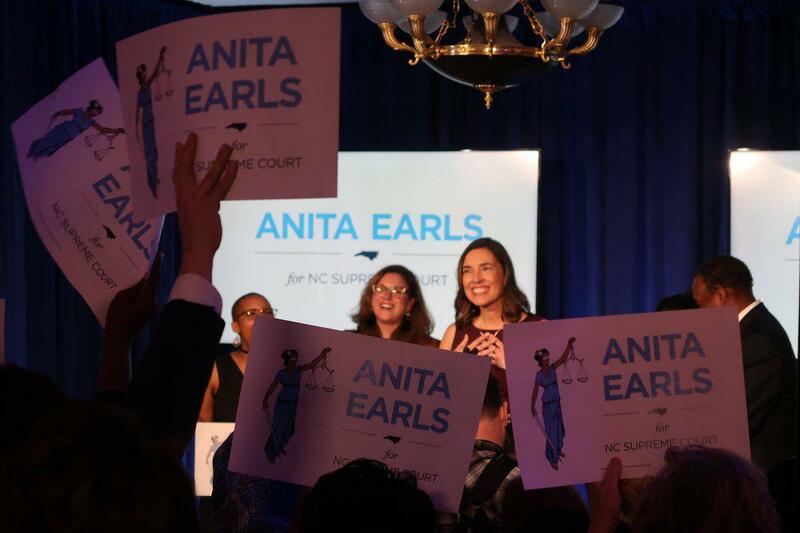 Anita Earls talks with supporters after winning a seat on the North Carolina Supreme Court on Nov. 6, 2018. Voting hours will be extended at precinct sites in two North Carolina counties. Get the latest on North Carolina's ballot measures and races for U.S. Senate and House.